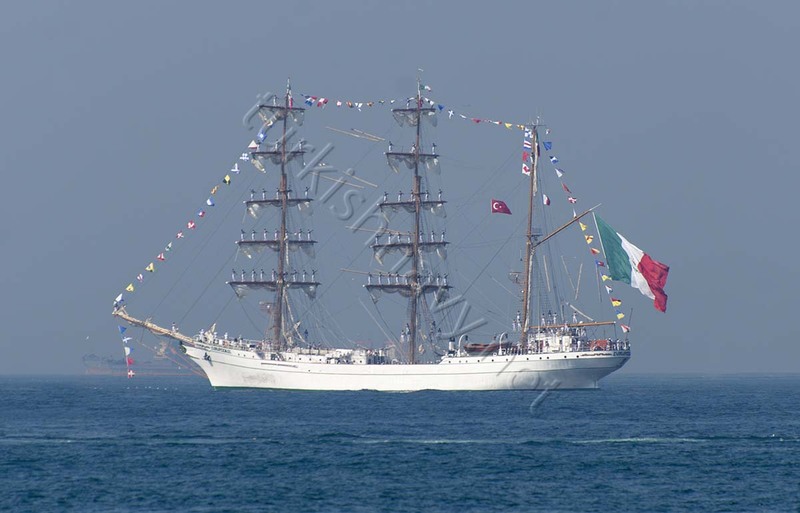 The sail training ship of Mexican Navy ARM Cuauhtémoc ended her 4 day visit in Istanbul on 14 August 2015. She is currently underway to Malta. 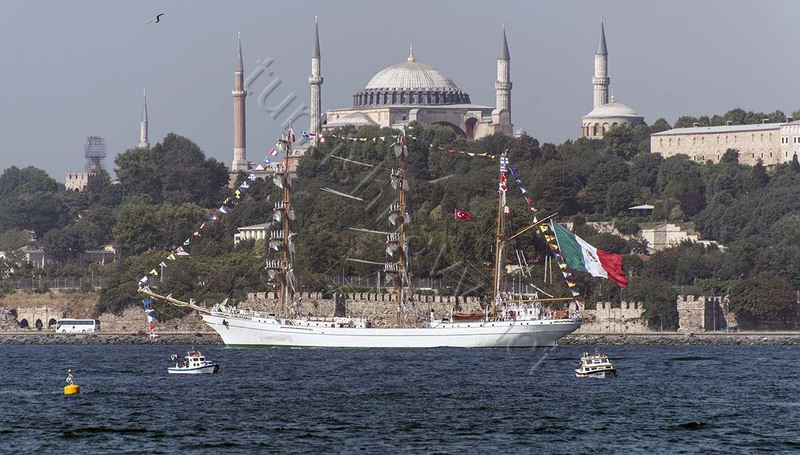 The last time when, ARM Cuauhtémoc was in Istanbul was in 2011. According to Wikipedia she is named named for the last Mexica Hueyi Tlatoani Cuauhtémoc who was captured and executed in 1525. She is the last of four sister ships built by the Naval Shipyards of Bilbao, Spain, in 1982, all built to a design similar to the 1930 designs of the German firm Blohm & Voss, like Gorch Fock, USCGC Eagle and the NRP Sagres. Like her sister ships, the Colombia’s Gloria, Ecuador’s Guayas and Venezuela’s Simón Bolívar, Cuauhtémoc is a sailing ambassador for her home country and a frequent visitor to world ports, having sailed over 400,000 nautical miles (700,000 km) in her 23 years of service.